Ryan Middleton is back after a short time away from anything editorial, and brings you a preview of tomorrow afternoon’s League One encounter with Blackburn Rovers. On Saturday, the Iron travel to Ewood Park to face Blackburn Rovers, who currently sit just one place and two points above United in 3rd place. This upcoming game for the Iron will arguably be the sternest test to date this campaign. Blackburn currently have the fourth best home record in League One, and Scunthorpe have the fourth best away record in League One, so the game is finely poised as the biggest match for both teams. Both sides have almost identical records home and away, but Blackburn have the slight edge with their marginally better home record. Should the Iron claim maximum points at Ewood Park, then a 3rd place spot heading into the New Year is a guarantee, and perhaps even a 2nd place spot if Southend manage to defeat Shrewsbury Town at Roots hall. Even if the Iron lose on Saturday, they will almost certainly stay in 4th place regardless, unless Bradford can win and turn over an eight goal deficit on United. Saturday’s match is the first of two games in three days for both teams, with the Iron playing host to Bury on New Year’s Day and Blackburn heading to Rotherham, so both sides will be hoping for a win to take into that game. Both outfits come into this game in good form, having won seven out of the last nine league games, respectively. Bradley Dack and Charlie Mulgrew are two players for the Iron to keep a close eye on, with both Rovers lads scoring plenty of goals, and showing plenty of quality and experience so far this season. The last time the two sides met, Blackburn came out on top, winning 1-0 at Glanford Park in September, where the Iron were made to pay for too many missed opportunities throughout the game. The Iron will want revenge this time around. Team News: Blackburn boss Tony Mowbray has today confirmed that Blackburn striker Dominic Samuel will train after been left out of the squad on Boxing Day due to illness. The rest of the squad should be the same for Tony Mowbray’s side. 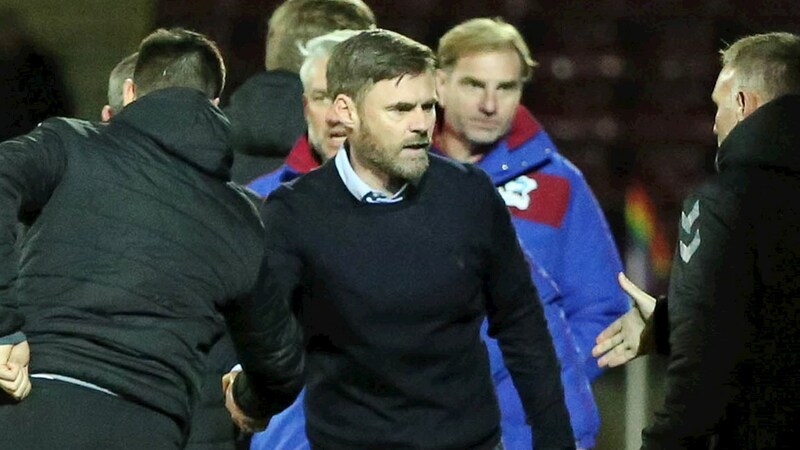 Graham Alexander will have the same squad to choose from as Boxing Day. Funso Ojo will be expected to start in central midfield for Scunthorpe. Neal Bishop still has one game left on his suspension and will be back into contention for the home match with Bury on Monday. My Score Prediction: 1-1 Expected team line up: Gilks, Goode, Burgess, Wallace, Townsend, Holmes, Ojo, Morris, Adelakun, Hopper, Van Veen.